Sharon Waxman is an author and award-winning journalist, currently working on a book about stolen antiquities. "Loot: The Battle Over the Stolen Treasures of the Ancient World," will be published by Times Books in November 2008.
Who ought to own the trophies of history, Western museums, or the countries that were plundered over 200 years? "Loot" takes readers on a journey to the countries where ancient civilizations began and to the great museums where their treasures now reside in a quest to understand the tug-of-war between East and West. Waxman was a Hollywood correspondent for The New York Times until January 2008. Before joining the Times, she was a correspondent for the Washington Post based in Los Angeles, from 1995 until 2003. As a long-time observer of the entertainment industry, Waxman's is an influential and independent voice. She has covered studio sales and corporate mergers, the Oscars, the film festivals and the unusual personalities that make up Hollywood. She has taken readers deep inside the filmmaking and deal-making process, getting to know the key players and artists who make the movies. She is the author of the best-selling book, "Rebels on the Backlot: Six Maverick Directors And How They Conquered the Hollywood Studio System" (HarperCollins, 2005), about the emergence of a new generation of writers and directors in the 1990s, making landmark films in a corporate-run Hollywood. Waxman began covering Hollywood for The Washington Post's Style section in 1995, becoming the paper's first correspondent to cover the industry from Los Angeles. She began her career as a foreign correspondent, and was sent on reporting stints to the Middle East during her years at the Post. Born and raised in Cleveland, Ohio, Waxman attended Barnard College, where she studied English literature, then earned a Masters of Philosophy degree in Modern Middle East Studies from St. Antony's College at Oxford University. Having learned both Hebrew and Arabic during her studies, Waxman got her first real journalism job with the Reuters news agency in Jerusalem, covering the first Palestinian intifada in 1988 and 1989. At the end of 1989 she moved to Paris. While there, she covered the economic unification of Europe and the velvet revolutions in Eastern Europe as the Soviet Union collapsed. 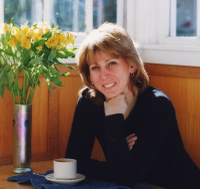 For six years she covered the culture, politics and economy of France and other parts of Western Europe as a freelance and contract writer, with frequent forays into Eastern Europe and North Africa. She wrote for a variety of U.S. newspapers, including The Washington Post, The Chicago Tribune, The Miami Herald, The Los Angeles Times and numerous other outlets, eventually landing a contract with The Washington Post. The Post then offered her a full-time position in a place she never expected to land: Los Angeles. During her years in Hollywood, Waxman has become a frequent commentator on matters of movie and media culture. In 2000, she won the prestigious feature writing award for Arts & Entertainment writing from the University of Missouri. While at the Post, she returned to the Middle East on several occasions to write a series about Islamic culture, to cover the war in Iraq and the Israeli-Palestinian conflict. Waxman lives with her family in southern California.